Trinity Development and its founder John Ruddy are countersuing Eugene Melnyk and his sports company for $1 billion, effectively killing any chance of the two ever redeveloping LeBreton Flats or building a new downtown hockey arena. Trinity Development and its founder, John Ruddy, are countersuing Ottawa Senators owner Eugene Melnyk and his sports company for more than $1 billion, putting their LeBreton Flats redevelopment project in grave doubt. 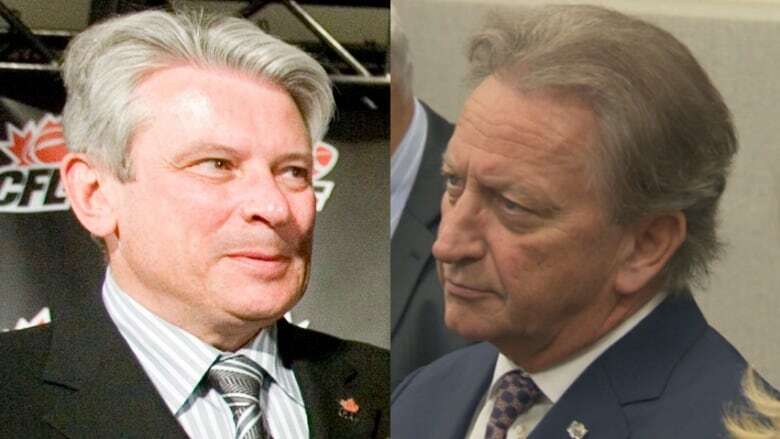 Last month, Melnyk and his wholly owned firm, Capital Sports Management Inc. (CSMI), sued his partners in the LeBreton Flats redevelopment project for $700 million — a lawsuit that Trinity calls "meritless" and "an abuse of power." 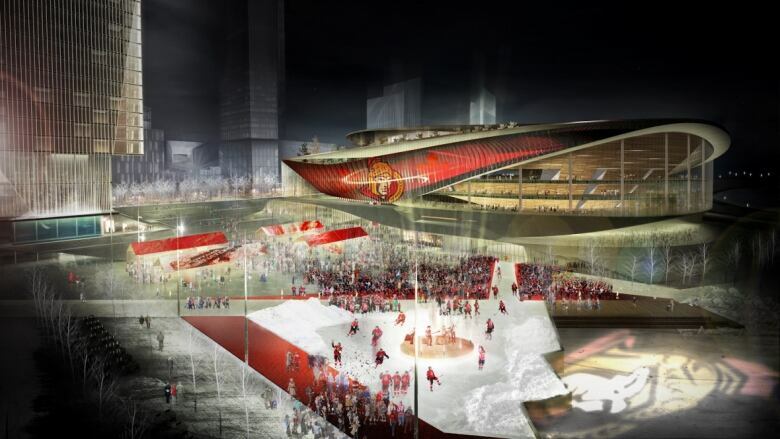 Ruddy and Melnyk are the main partners in RendezVous LeBreton Group, which in 2016 won a National Capital Commission competition to redevelop LeBreton Flats. Neither Melnyk's claims nor Ruddy's counterclaims have been proven in court. The partnership was on the rocks from the moment it started, according to the statement of defence, which characterized Melnyk and his company as "malicious" and engaging in "reprehensible misconduct that departs to a marked degree from ordinary standards of decent behaviour." As early as June 2016, just weeks after RendezVous LeBreton was selected as the winning bidder for the LeBreton project, CSMI was already advocating for an arbitration that would have given Melnyk's company "the right to go it alone." The partners tried mediation the following month, but it was unsuccessful. By January, at a meeting with Trinity and the NCC, CSMI's lawyer said the company was "reassessing its involvement in the LeBreton project," which took Trinity by surprise. But despite CSMI's apparent misgivings, it eventually signed an agreement to negotiate a master plan for LeBreton. Among the most provocative allegations in the statement of defence is that Melnyk didn't want to pay for an NHL arena — or much else to do with the project. At a meeting with Mayor Jim Watson and Trinity in August, Melnyk initially committed to filing the planning applications for the redevelopment, but CSMI didn't want to pay its half of the cost of the environmental study needed for the application until the last moment. CSMI also balked at paying for 50 per cent of the application fees, which Trinity paid in order to maintain the schedule set by the NCC — money Trinity says it's still owed by CSMI. Even more eyebrow-raising is an allegation that Melnyk proposed he not pay for a new arena for his own hockey team. According to the statement of defence, Melnyk proposed in October that Trinity spend $500 million to build the events centre — a key component of the LeBreton redevelopment — and that Melnyk rent if for $1 a year. Trinity responded with an offer to take over the entire project and have the Senators as a tenant. "That proposal was categorically rejected by Melnyk, who again insisted that CSMI be given the Event Centre on a rent-free basis." When the partnership was gasping its last breaths in November, CSMI proposed withdrawing from the deal if Trinity and the city would pay to build the arena and lease it to the Senators, rent-free, for 30 years. Under that scenario, the Senators would have retained naming rights, royalties and branding rights for the faciity. Trinity calls the plan "commercially unreasonable, reasoning, "it is fair to infer that CSMI is not financially sound." Late Tuesday, CSMI offered a similar deal again as a solution to the impasse. Instead of being 50-50 partners, CSMI would give up any stake in the profits from the master development and Trinity would pay to build the arena. In this scenario, CSMI also wouldn't be putting up half the financing for the $4-billion development. CSMI would pay for the ongoing operations of the arena and any eventual improvements. It's unclear how different this scenario is from the ones proposed earlier this year. The offer has not impressed Trinity, which issued a brief statement that "it appears nothing has changed." Interestingly, the CSMI statement says it was always intended that the arena could be Municipal Capital Facility, which is a designation council can grant a property-tax exemption to a building with a municipal or public use. It's not clear an arena would qualify for this in the eyes of councillors or the public. The crux of CSMI's lawsuit is that Trinity was in a conflict of interest when it changed its plans to develop 900 Albert St., a property adjacent to LeBreton. 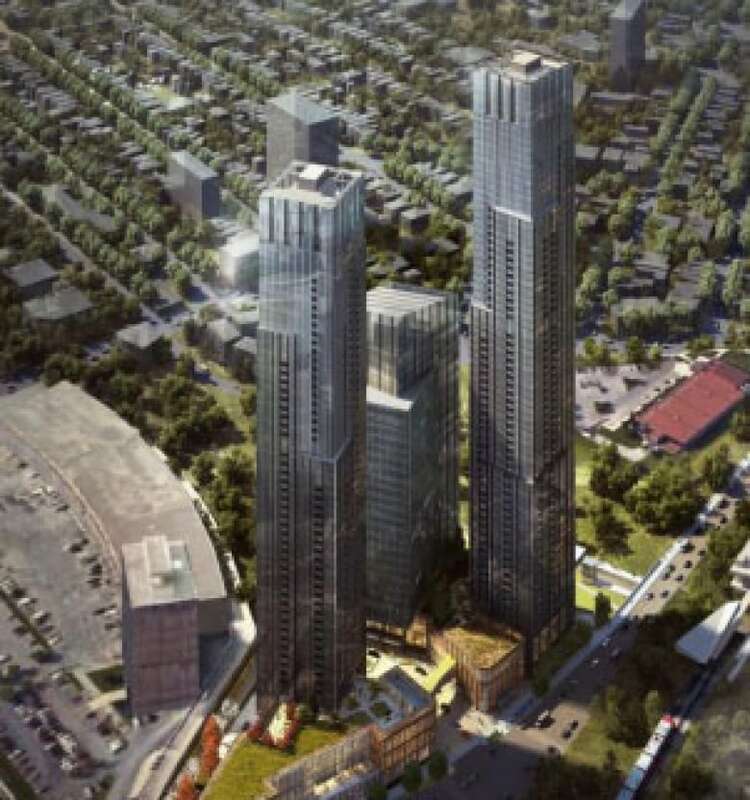 Melnyk's company alleged the three-tower complex, which would include Ottawa's tallest building at 65 storeys, was in "direct competition" with — and would siphon investment away from —the nearby LeBreton project. Trinity says that CSMI always knew about the 900 Albert development, but it is true that earlier this year, the developer had the property rezoned to allow for 50-storey-plus buildings instead of the originally planned 30-storey ones. CSMI contends that the 900 Albert project, which would be built before LeBreton, would dump too much supply onto the condo market, and that Melnyk would not be able to make as much money as he needed to from the RendezVous partnership. With the Rendezvous partners locked in an escalating legal battle, that plan for LeBreton Flats appears all but dead. ​Ruddy said in a statement that he is "committed to moving this project forward. The vision we've brought forward is the right one." The RendezVous plan does include extensive residential, retail and other commercial uses, as well as some public spaces. But Trinity's statement of defence admits the NHL arena was the "key driver" or "anchor use" of the redevelopment, and removing it from the project would significantly alter it. The second-place finisher in the LeBreton competition has said it's still interested in the project, but the NCC has said the process doesn't allow it to go back to the runner-up. The National Capital Commission's board of directors is set to decide on next steps at a meeting in late January.